Do you remember those afternoons breaking blocks in Arkanoid? Did you know that Steve Jobs had something to do with this videogame? Discover the history, evolution and all the modern variations which marked the childhood of the 80s and 90s children. We've all played Arkanoid sometime, that game in which you had to eliminate the wall made up of blocks on the top of the screen with a little ball which bounced off on the platform that you controlled and moved. That platform was the spaceship Vaus which had become detached from its mother ship Arkanoid after its destruction, and had as a its objective to destroy the space villain Doh, not before going through the different levels which increased in difficulty. You remember, right? It's an arcade classic! 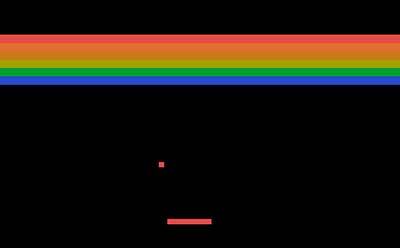 Now, did you know that Arkanoid was based on a previous game created by the fathers of Apple? That's right, the bright minds of Steve Jobs and Steve Wozniak are behind this simple yet successful idea. However, their version of the game was not the one which made millions of players around the world fall in love. It was the Japanese company Taito who developed and marketed Arkanoid in 1986 and managed to make it popular. So much that on the same year of its release to the market, it won the silver medal at the Gamest Awards in Japan for being one of the 4 best games of its era. Thanks to its success, 5 sequels of the same game were developed. However, Arkanoid is an improved version of the creation of Jobs and Wozniak: Breakout. 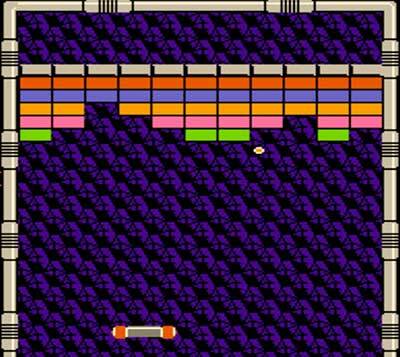 Ten years before Arkanoid, the founder and co-founder of the company which has brought us the iPhone, iPod and iPad, were hired by Atari to develop and bring to life this videogame thought up by Nolan Bushnell and Steve Bristow. Breakout was inspired on the videogame classic, Pong. That game, which simulated a ping-pong match, was the first one to be marketed on a massive scale and was also Bushnell's work for Atari. Breakout aspired to be an improved version and for just one player. And it did, just not enough to succeed, or at least not as much as Arkanoid. Taito's videogame integrated new features and improvements which caused it to become more popular and see it now as a reference. The spaceship Vaus could get power ups by picking up pieces of blocks which it destroyed, which gave the player more possibilities and made it original. In addition, it revolved around a specific story with a fixed objective: to destro Doh. This probably made users become more attached to the game. As years have gone by, Arkanoid has evolved and the simple idea to knock down blocks has grown and developed. Thousands of versions have been made and many games have been inspired by it. A very simple concept, with a lot of punch. Among the games inspired by Arkanoid is our own Sweet Crusher. The idea is the same; you have to knock down bricks, but this time you won't be in space and they won't be simple bricks. They're edible! Have a blast breaking the sweets and enjoy all the different levels full of color and sugar. Article written by Paula Gil Alonso.